Are you looking for a job? Or do you someone who is? At the end of 2012, the Youth Ministry Institute entered in to the business of helping match churches with youth ministers. Let me be clear. We are NOT a head hunter. We don’t go and try to pull people away from jobs they like (or even from jobs they don’t like). We work with churches to define what a best match might look like. And, then we post the job and (through a series of structured interviews and reference checks) determine the best 5-7 matches for a church. The church does the final interviews and hires who they determine to be the best match. YMI simply saves the church time and gives the church a great deal of information so a better choice can be made. In six months, here is what I have learned that might be helpful to the person looking for a job. Read your resume from a different point of view (namely a potential employer’s point of view). We cut at least 50% of the initial resumes submitted because they don’t meet minimum requirements for the job for which they are applying. It is, frankly, disturbing that so many will apply for a job for which they are unqualified. Some of our early rejected resumes include people who never list a church or belief in God on their resume! C’mon!!! If you are applying to work in the church, be sure to note that you actively are involved in a church. If not, don’t apply!!! Punctuation and grammar are still important. Sloppy resumes that are difficult to read usually end up in the cylinder file cabinet. In addition, keep resumes to one or two pages. Too much information can mask important information. Lose the picture. I don’t care what you look like…… or your spouse…… and, certainly not, your dog. Pictures are volatile. Even for people who photograph well, pictures have a funny way of eliciting a first impression that quite probably won’t be accurate. Words do a better job of describing you at this point. And, if you feel like your looks will get you the job, save it as your secret weapon in the final interview. There’s Something About Mary. Do you remember the movie? Everybody, even Bret Favre, had a thing for Mary. Impressive applicants can have the same effect on local churches. Currently, we are running five searches. Mary applied to all of them. And, everybody loves her! She will only choose one (and it may not even be one of the churches we represent). As an applicant, be particular. Apply for the churches that fit you more completely. 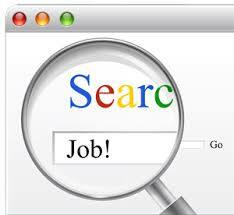 You will find it will help you get the job you want. You’ll also help other churches fall in love with someone else. Know where you are applying. At least Mary made a conscious decision to apply to the five churches we are listing. We encounter applicants who have no idea. They upload their resume to the Youth Specialties web site and set it to automatically send to churches fitting a certain criteria. This can be dangerous. Our initial screening is to determine an applicant’s interest in the particular church to which he or she is applying. Talk about a blind date. Some applicants say they are leaving it up to God to lead them and aren’t even aware to which church they are applying. I believe God wants us to discern where He is leading us – not just give it up to blind chance. I’m sure we will learn a few more things about this process in the years to come. YMI simply wants youth ministers to enjoy a long a fruitful career in a ministry to which God called them. That is why it is important to land in churches that fit them the best. It all starts with representing yourself well in the application process.